(NAN)Sen. Shehu Sani has donated one thousand dollars to the Association of Nigerian Authors (ANA) for its 2019 Poetry prize. 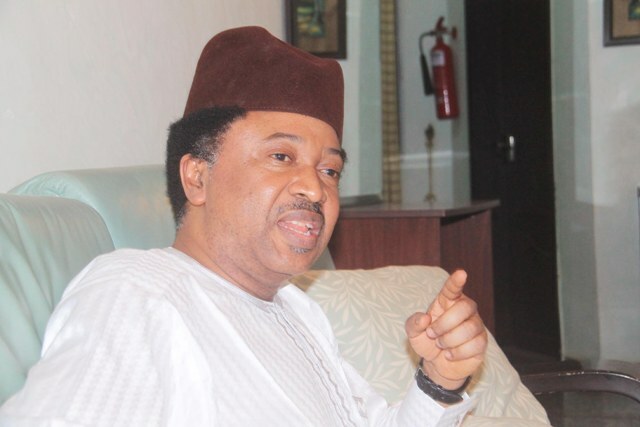 Sani is the APC senator representing Kaduna Central Senatorial District at the National Assembly in Abuja. Denja Abdullahi, the President of ANA in a statement issued on Wednesday in Abuja, described the money as an endowment for the ANA Poetry Prize. “In a message Sani expressed his desire to jerk up the prize money which was N100, 000 to one thousand dollars for a poetry collection `Published and unpublished’. “That evokes or denotes peace, tolerance, social justice and egalitarianism. “By this endowment, the winning work this year will be rewarded with the sum of one thousand dollars. “It should be recalled that the poetry prize has been one of the most rewarding monetarily, of ANA prizes over the years. “It was endowed by Cadbury for one thousand dollars and later two thousand dollars before it was rested in the year 2000. “By this endowment, the prize will now be known as ANA/Shehu Sani Poetry Prize. NAN reports that the deadline for the submission for any of the ANA literary prizes as earlier advertised is 31st May, 2019. A shortlist of nominees will be announced in September while winners of the prizes will be announced by the judges at the Awards Dinner during the 38th International Annual Convention of the Association of Nigerian Authors in October, 2019.